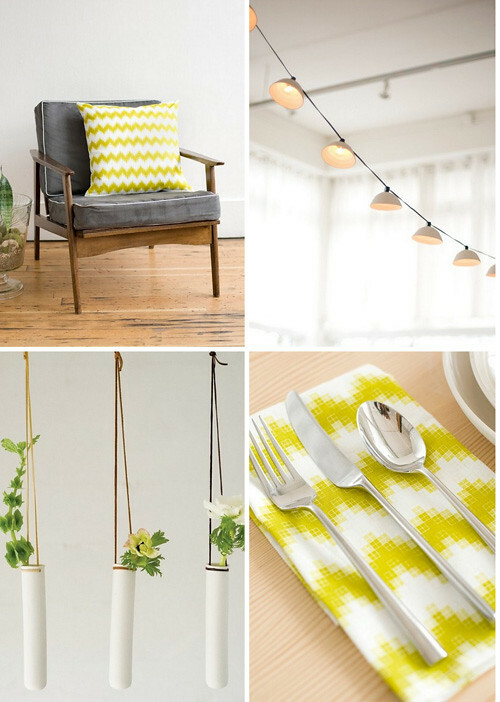 When it comes to Pigeon Toe Ceramics all I have to say is, "I'll have one of everything please." Isn't this shop just too much amazingness !?! Love it. 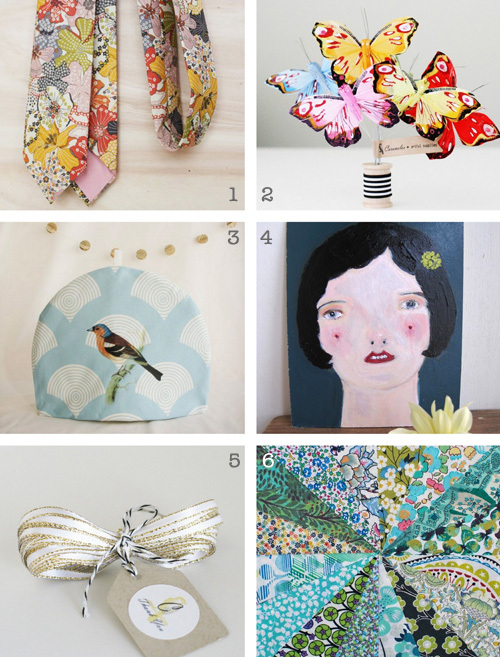 1| Liberty print neck tie by This Humble Abode 2|set of 6 feather butterflies by Caramelos 3| Tea cozy by Gloaming Designs 4| original portrait by Cathy Cullis 5| white sparkle ribbon by Caramelos 6| patchwork squares by Liberty Charms. 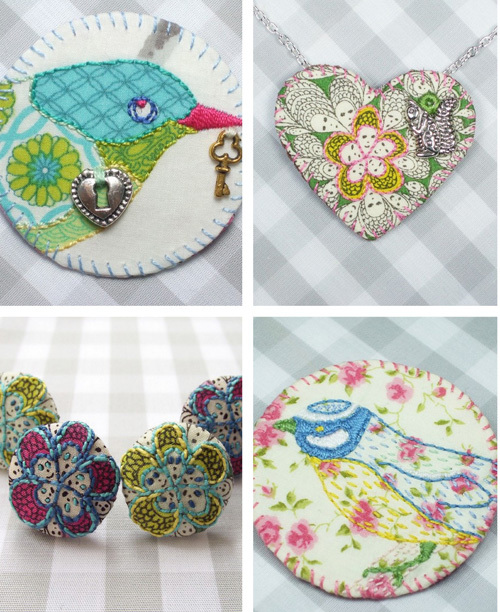 Intricate hand stitched things from Tease Made had my attention the second I discovered this pretty shop today. So many sweet things! 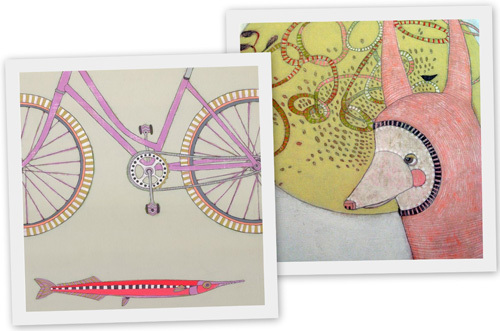 Colorful, quirky art (prints and originals) by Jennifer Davis. I collect her work and have many paintings to date... I love her unusual characters and gorgeous colors. I know, wild right!? These crazy chairs are dressed to thrill from a Thai designer living and working in Istanbul, Turkey. 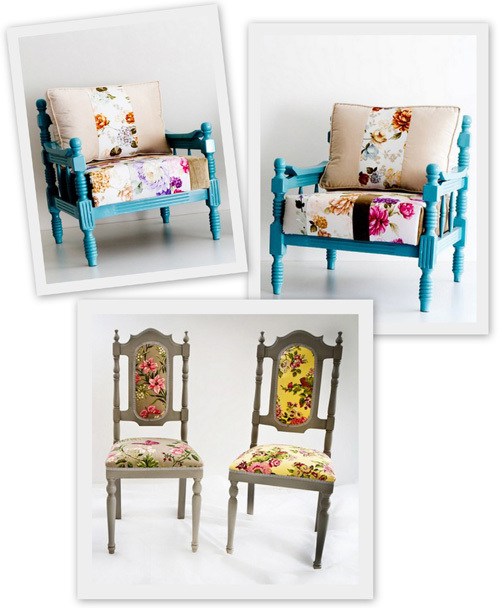 Her shop is called Name Design Studio and it is filled with all kinds of colorful, patchwork-y furniture. 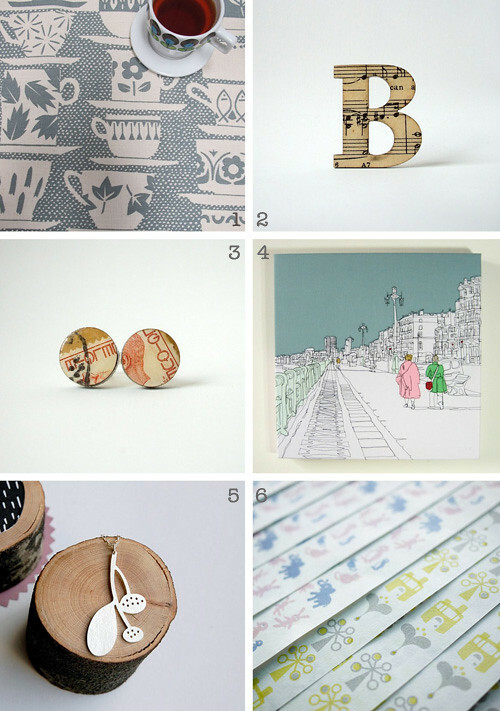 1| Tea towel by Skinny Laminx 2| Vintage music paper on a letter B brooch by ismay 3| postage stamp cufflinks also from ismay 4| Brighton Promenade embroidered art by Gillian Bates 5| Flora II necklace from Joanna Rutter 6| wrapping paper by PataPri. Spot anything that you love! ?